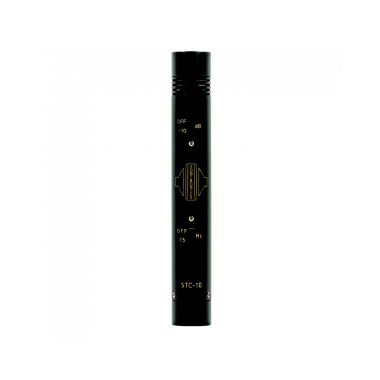 Based on our ever-popular STC-1 pencil mic, the Sontronics STC-10 was launched with four other products to mark our 5th anniversary in 2010. 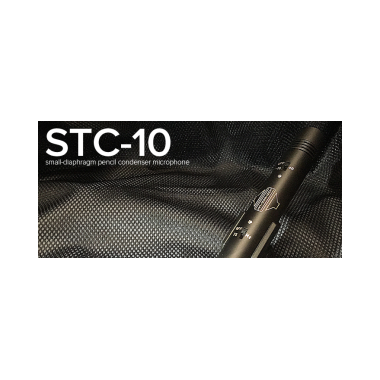 Designed with exactly the same internal architecture as our other pencil mics, the STC-10 was purposely created to give producers and musicians an extremely affordable entry point into the ever-growing Sontronics range, without any sacrifice in sound or build quality. Far from being a 'basic' microphone, the STC-10 is ideal for any spot-miking application, boasting our signature super-smooth high-frequency roll-off. It also offers excellent flexibility thanks to its two-stage high-pass filter and attenuation pad switches. As a result, STC-10 gives superb results on acoustic guitar and other strummed instruments, solo strings, woodwind and percussion instruments, and also on guitar amps and brass. A pair of STC-10s is brilliant for drumkit and ensemble recording too. It can also be used for overhead recording (on its own or in pairs) as well as film production or video work, field recording, stage productions and for all kinds of stereo miking techniques. Supplied with its mic clip and foam windshield, the STC-10, like all our microphones, is covered by our unique LIFETIME WARRANTY.